Rent our large aquariums for conventions, & special event parties! 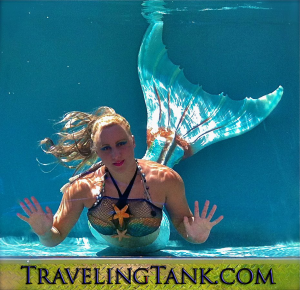 Mermaid tank used for traveling shows and underwater performances live at events. Bookings for 10x4x4 large aquarium and fees per day depending on location/distance and project needs. 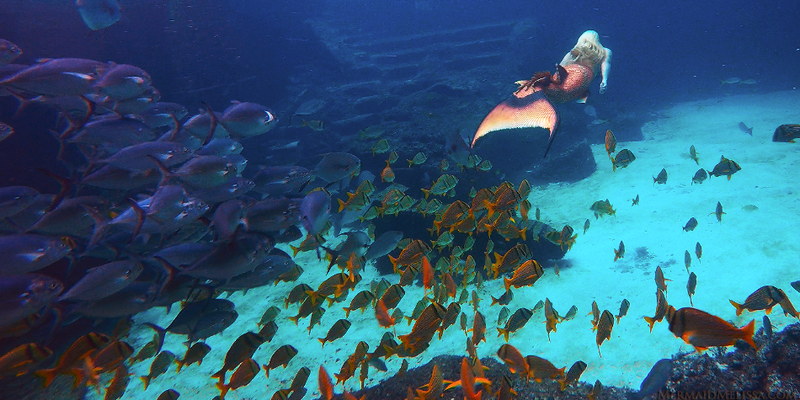 Mermaid Melissa LLC and Aquatic Merage Productions bring you underwater performances by the most well trained performers, free divers, and breath holding records up to 5 minutes. Our 10x4x4 traveling aquarium fish tank and other small, medium, and large sizes are able to be temperature controlled heater with connecting high powered filtration system. Must be booked in advance due to the high demand of interest for use in movies, studio films, live model showcases, and other high profile venue and convention projects. 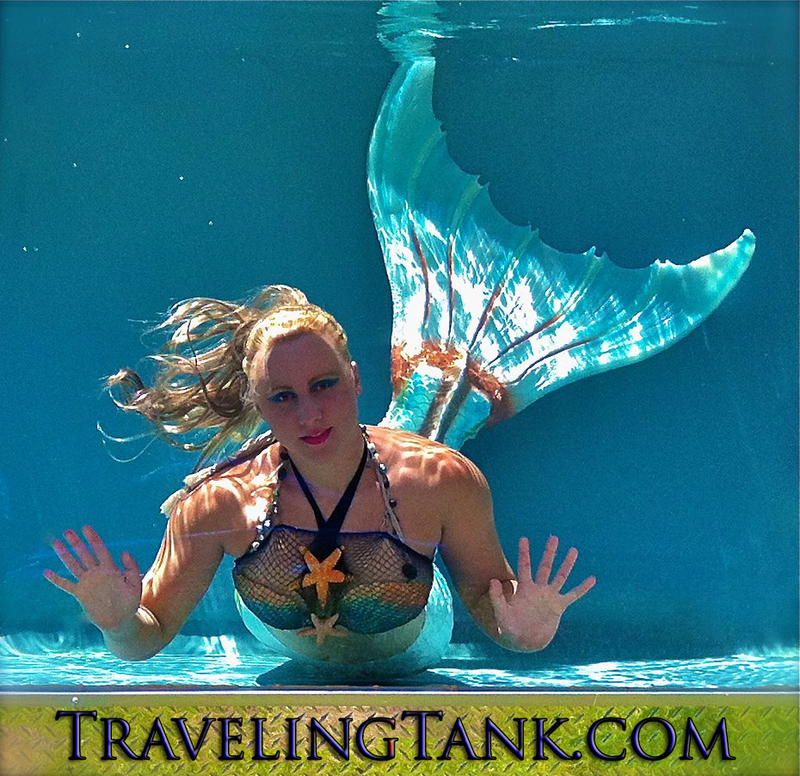 There is no other aquarium on the market that has been constructed specifically for mermaid performers with the proper functions, size, and maneuverability on several locations to be showcased. The tank rentals rate per day depends on event details, labor cost, and how busy we are at that time. There are extra fees to bring it out of state due to travel, hotel, and crew cost. Performer fees are separate but are sometimes bundled per situation and length of gig. Bookings inquiries must be from event coordinator or corporate companies direct with all the details outlined in an email submission of concept, date, and length of project. Contact us via email with dates, time of use at event, amount of performers needed, and location of your event and please provide as much information such as location and length of time the tank will be needed and theme of your project the tank will be used for. Email mermaidmelissa@gmail.com to submit a price quote. Portable Giant Fish Aquarium Filtered Tank for Rentals at events worldwide featuring underwater performers. 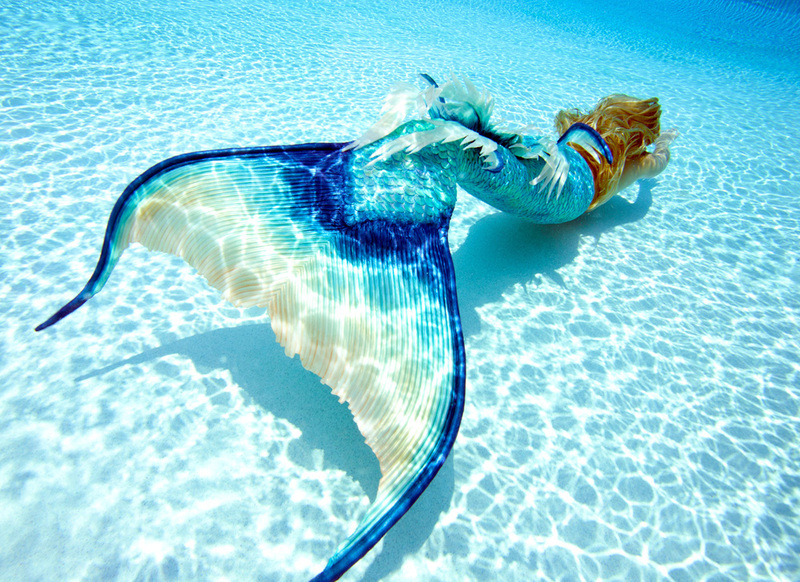 By: Aquatic Merage Productions in association with Mermaid Melissa LLC. Rent a portable Fiberglass Tank with Acrylic Viewing window.